The J.P. Morgan Junior ISA is a tax-efficient children’s savings account on which there is no income or capital gains tax to pay. It is designed for parents who want to put money aside for their children’s future. Please note that the level of tax benefits and liabilities will depend on individual circumstances and may change in the future. Accessible – you can invest from £50 a month or with a £100 lump sum. What’s more, no initial charges are levied by the J.P. Morgan funds and there are no annual account charges either. Wide investment choice – benefit from the J.P. Morgan extensive range and investments from other leading UK fund managers as well as FTSE all-share equities, ETFs and bonds. 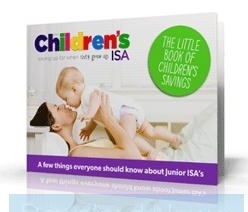 Online convenience – manage the child’s Junior ISA easily, quickly and when it suits you. Award winning fund manager – J.P. Morgan Asset Management is the only fund manager to have received the Gold Standard Award nine years in a row (as at December 2011). Tax efficient – there is no income or capital gains tax to pay. The J.P. Morgan Junior ISA is held in the child’s name but the registered contact decides where and when to invest. However, no money can be withdrawn from the Junior ISA until the child reaches age 18 (except on death or terminal illness of the child), thereby ensuring maximum growth potential. The registered contact(s) are not liable to income or capital gains tax on any investments held in the Junior ISA. Please note that a Child Trust Fund (CTF) can’t currently be transferred to a Junior ISA and if a child has a CTF they are not eligible for a Junior ISA. Invest from £50 a month or with a £100 lump sum. You can start investing in the J.P. Morgan Junior ISA from £50 a month or with a £100 lump sum and choose from a Stocks and Shares or Cash Junior ISA, or both (as long as the overall annual contribution limit is not exceeded). You can invest up to £3,600 per tax year until 5 April 2013. After this, the yearly limit may rise in line with inflation. As of 5th April 2013 the limit has risen to £3,720. The value of investments and the income from them may fall as well as rise and the child may not get back the full amount invested. With a wide range to choose from, it’s easy to find an investment that suits your goals with J.P. Morgan Asset Management. We have an extensive range of over 21 J.P. Morgan investment trusts and over 30 J.P. Morgan managed funds. You can also access hundreds of funds from other leading UK fund managers, FTSE ™ All-Share equities, exchange traded funds (ETFs) and bonds. Investing in the J.P. Morgan Junior ISA is quick and easy. Read more to find out how to open the J.P. Morgan Junior ISA. I wish to provide for my grandchildrens’ future and I am considering a Junior ISA. Am I able to do this or is it only the parents that can set up a Junior ISA? Please send me further details about the J P Morgan Junior ISA including how to apply for one. I’m looking to open an ISA on behalf of my grand-daughter.